For a romantic retreat in a serene rural location, head to one-bedroomed. Cagakan Evi in the charming mountain village of Islamlar, just above Kalkan Bay, on Turkey’s stunning Turquoise Coast. It’s a place of bucolic tranquillity and rustic architecture, with a dramatic backdrop of the Taurus Mountains. 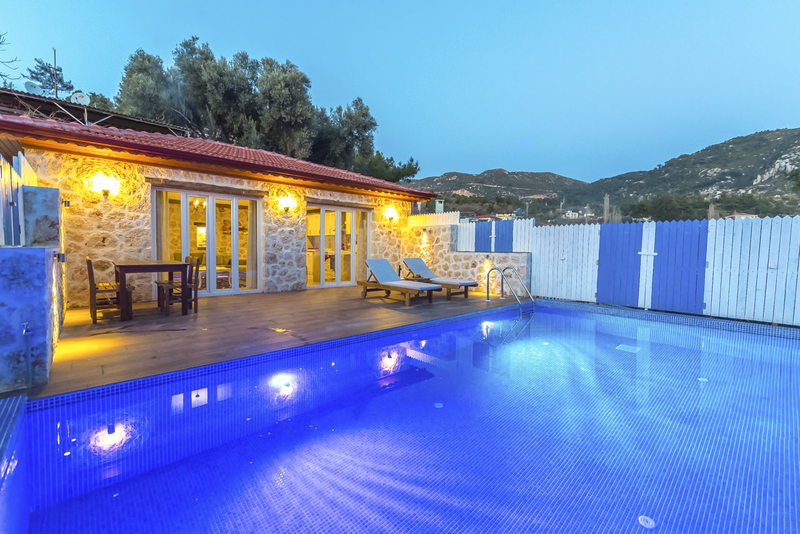 The villa provides the perfect opportunity to escape the busyness of life, and it’s also just a short drive from Kalkan's vibrant waterfront bars, rooftop restaurants and idyllic sandy beaches. 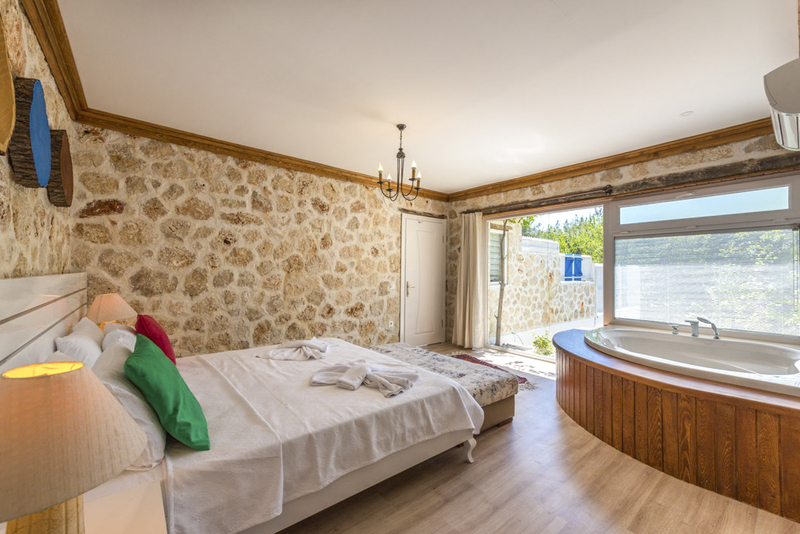 Classically stone built Cagakan Evi is off the beaten track, nestled peacefully and privately between fruit trees and grape vines, and is ideal for couples seeking simple comfort. 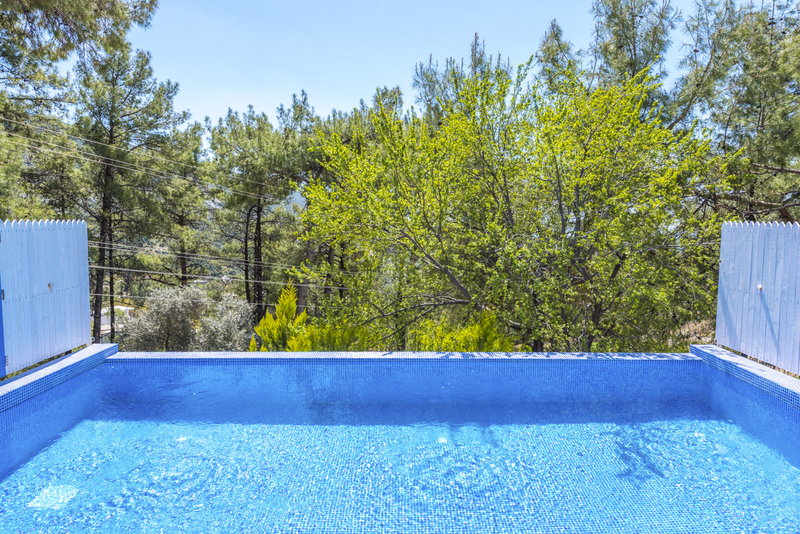 From your outdoor pool and sun terrace, you can enjoy listening to the calming call to the mosque or the soft bleating of goats in the nearby small village holdings. You can allow for quiet contemplation as the sounds, colours and smells of this beautiful part of Islamlar heighten your senses and soothe your soul. 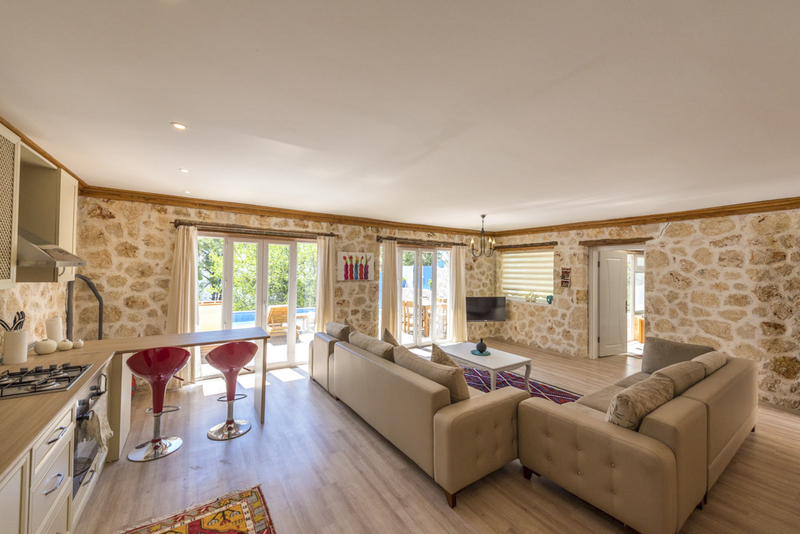 Inside the villa, you’ll find a welcoming open-plan living, dining and kitchen area, fully-equipped with an oven, dishwasher and washing machine. There’s also a television, DVD player and CD player and cushioned sofas for those relaxed evenings spent indoors. The double bedroom sleeps up to two and has a Jacuzzi bath and a shower room, alongside plenty of wardrobe space. Extra thoughtful features include air conditioning and Wi-Fi throughout the villa for a hassle-free home-from-home stay. 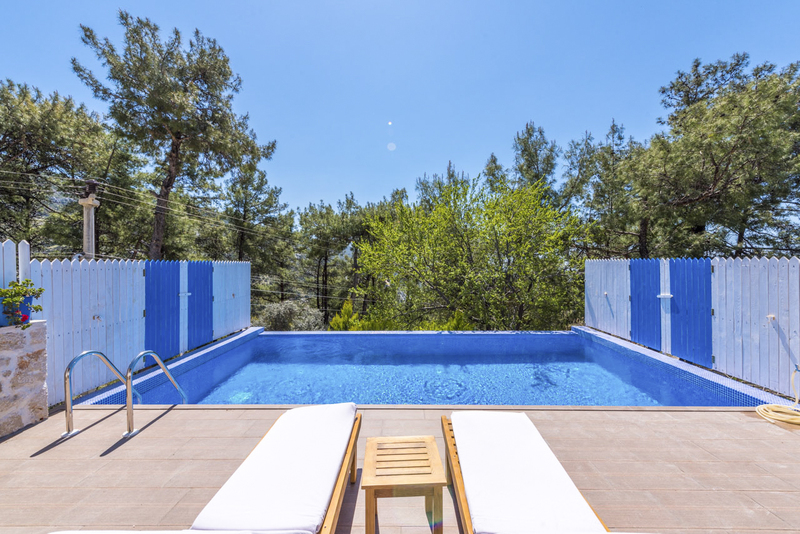 The pool is lined with several sunbeds and umbrellas so you can find your favourite spot in the sun or the shade. There’s also a barbecue and a table and chairs for dining al fresco while soaking in the beautiful vistas. 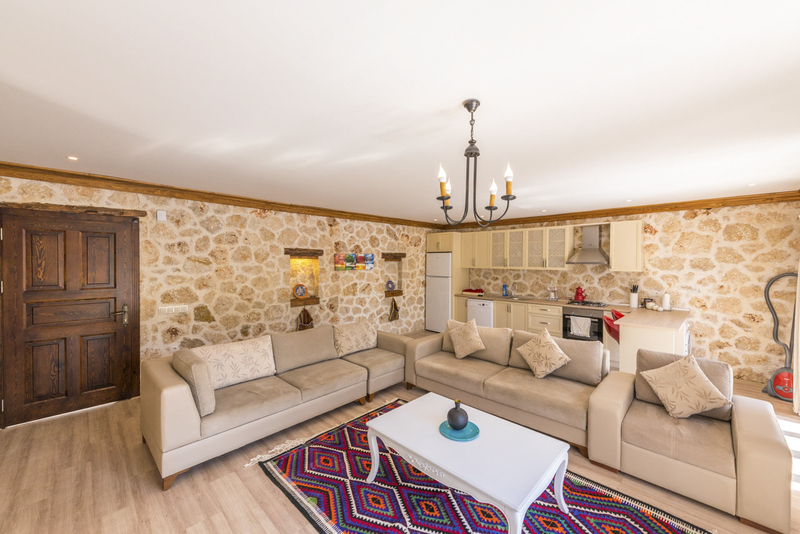 With a market and restaurants in the village centre (look out for trout, the famous local dish), within a short 200m walk, alongside sandy beaches and cultural sites within driving distance, Cagakan Evi is an excellent choice. Not only for couples looking to escape the hustle and bustle but for those who want to explore the rich heritage and natural beauty of this idyllic part of Turkey. 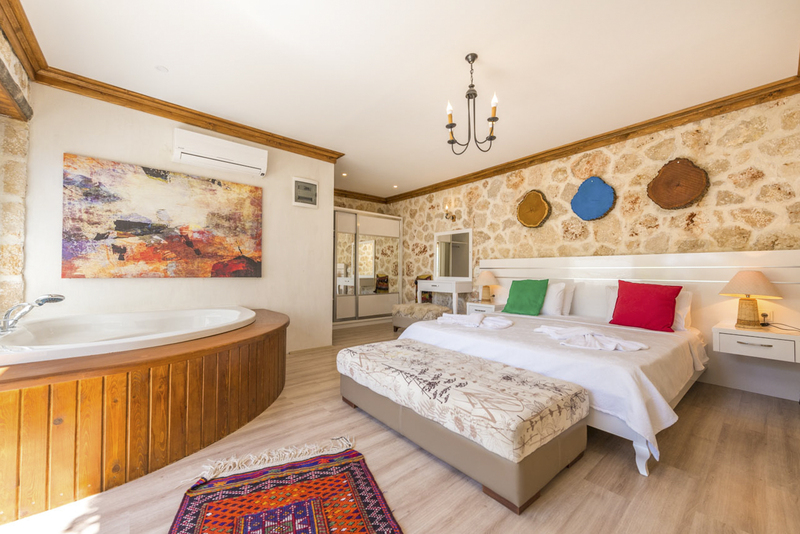 Cagakan Evi is in a peaceful location in Islamlar village at the foothills of the Taurus Mountains and overlooks Kalkan Bay and the Turkish Mediterranean coast. It’s a short 200m walk to local restaurants and shops and is just fifteen minutes by car to the livelier town of Kalkan. This incredibly beautiful part of Turkey offers a compelling combination of an utterly unspoilt rural terrain with breath-taking views and the convenience of being within driving distance of a town. In Islamlar, you can get an insight into traditional rural Turkish life. There’s an old tea house, a bakery where flour is ground by millstones and shepherds herding their sheep among the olive trees. Explore the vineyards or head to a trout farm restaurant with locally grown ingredients and beautiful views down the valley. The villa is also close to parts of the famous Lycian Way – it’s a spectacular walking route that traverses the coast and goes to remote places like the ghost village of Kayakoy. 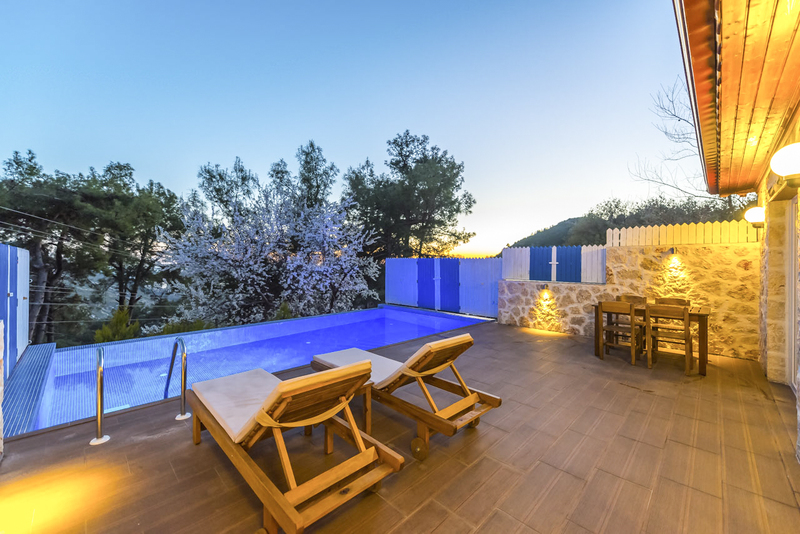 Should you wish to experience a more cosmopolitan expression of Turkish hospitality, Kalkan town with its beach clubs, vibrant waterfront bars and rooftop restaurants, is a short drive away, giving you the best of all worlds. There are also plenty of swimming beaches in Kalkan including Kaputas Beach, 12.5km from the vila, and Patara Beach, 17.5km away and a favourite spot to watch sunsets. You can also take part in water sports or head out on a traditional wooden gullet (sailing boat) to experience the full beauty of the coast and visit the sunken ruins at Kekova.